By H. Laurence Schwab, M.F.T. For additional information about this book, visit the website fsalb.com. Take your partnership on a breathtaking journey! This unique look at what intimacy really means is rich and compelling. For couples struggling, this book offers valuable tools to take a fresh look at their relationship. Groundbreaking! In Navigating Your Relationship: A Voyage for Couples, Schwab illustrates how many live their relationship “feeling small AND looking big.” He empowers couples to create their unique roadmap for discovery and dialogue. 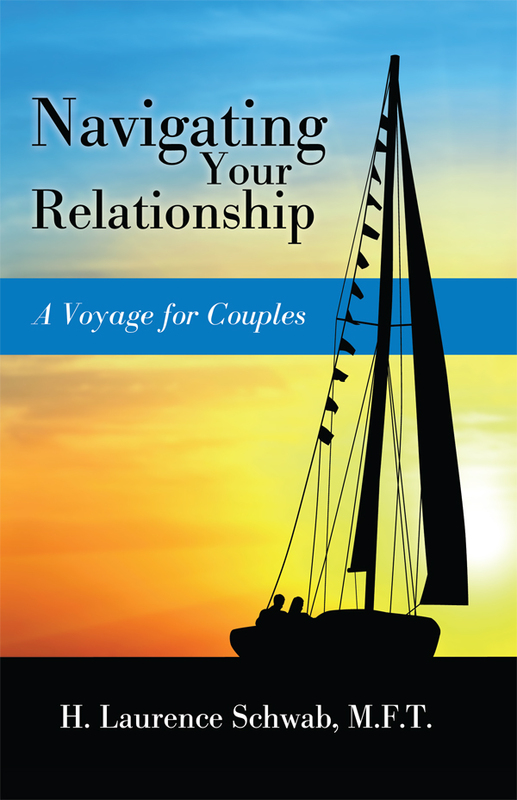 Navigating Your Relationship: A Voyage for Couples offers a journey full of helpful wisdom and advice as couples navigate the challenges of partnership. A fresh, current and supportive array of tools awaits anyone ready to face the normal disappointments and complications of co-captaining a vessel together. Readers can expect surprises, distinct lessons and original ways of charting progress as a couple. H. Laurence Schwab, M.F.T., has nearly thirty years of experience as a marriage and family therapist in private practice, as well as clinic and hospital settings, and has worked with hundreds of couples. This clinical experience and a family legacy of sailing and visual literacy have created the foundation of his book and its emphasis on how small people feel and how big they look at the same time. Schwab, a married father of three grown children with two grandsons, also supervises other therapists and conducts men’s groups and leadership retreats.